Just a refresher for those who may not have read the previous blog. I have been dealing with major health issues for several years now and they have gotten progressively worse. You can read my previous blog here. Mostly it's been swelling, aches & pains as well as hives. Yes... all very painful. Thursday night though I woke up in the middle of the night, as I often do, but this time was different. I was hot... like middle of the summer with the heat cranked up type of hot. I got up, closed the window in case the humid Florida air was the cause and cranked up the fan. My skin itched all over so I knew I was probably breaking out. All my movement caused my husband to stir who then said he could see me breaking out all over. By lunch time the next day my eyelids, ears and forehead were swollen all over. I could barely move and I could feel the swelling in my head which was a painful and scary feeling. After having blood work done about 2.5 weeks ago I had called the office several times for the results but not received a call back, which was BEYOND frustrating. After having this horrible outbreak hubby took me to the doc to see what could be done and to ask in person about the results Friday afternoon. They stated the doc wanted to speak to me in person and took me to the back. Nervous was an understatement. I had no clue what was about to happen and what this woman was about to tell me. I just knew it wasn't going to be the best news and all I could think was how grateful I was to have my husband there with me as I found out. There is something about having support at your side that just cushions the blow. Something I am still getting used to. The auto-immune results didn't fully process so unfortunately I will be getting those redone when I go see the specialist. They confirmed though that it is not arthritis which is great news. My anemia is really bad which I already knew but my numbers are super low so I have to work on that. 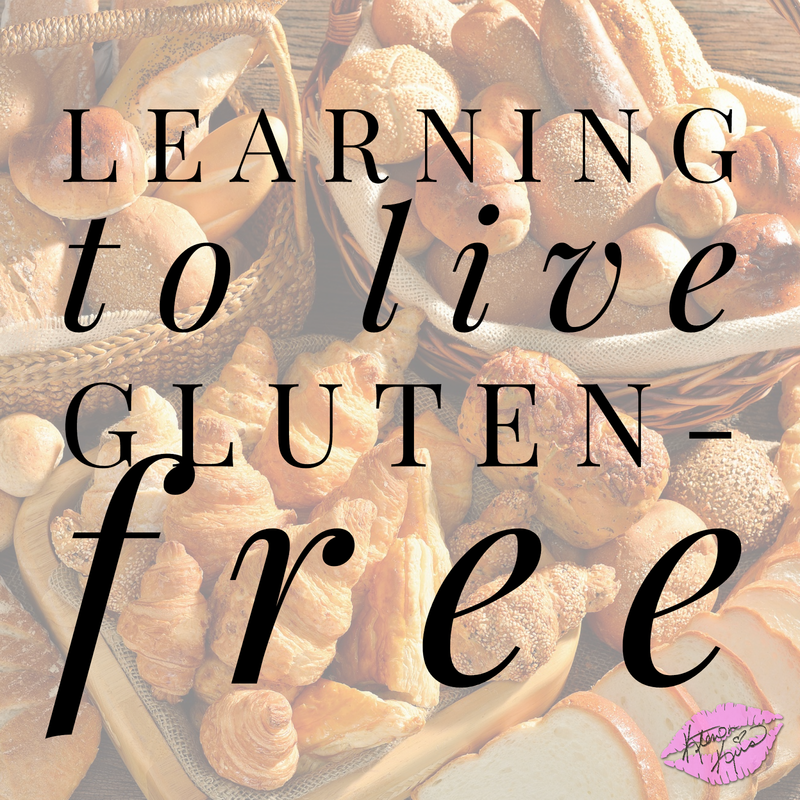 The biggest news though is I am allergic to gluten. GLUTEN. Like really? Do y'all know how much is made with this stuff?! I was already thinking that this could be part of the issue so I wasn't extremely surprised but she also mentioned a possibility of Celiac Disease (auto-immune issue directly related to Gluten). As hard as this news was to take it was also such a relief. I know finally know a major change I can make to help relieve this pain and that is worth the moon and more to me. Fortunately I know a few people with gluten issues so they have been so helpful with what to expect and how to prepare. Reworking my diet will be a lot of work but how awesome would it be to get to a good place with my health where I can do the little things like use the stairs in my home without being in pain, take a car trip without my whole body going stiff and so much more. This is a huge step forward and that is what I choose to focus on. Doc gave me a steroid shot in the office as she was worried about my swelling and it possibly closing my throat (That HURT!) but it started working rather quickly and I was able to actually sleep last night. I've been referred to a rheumatologist for more testing and to refine my treatment. I really just want to get my diagnosis' and then see a natural herbalist to help. I will do what is needed to get my body right. I plan to be here a very long time and know I have a lot of work to get done on this earth as Ktown Kris. Thank you all for the well wishes, prayers, positive energy and support. It really means so much and helps me get through the really rough days. I'm working on cleaning out my system now, drinking lots of water and benadryl to help prevent the swelling until my body is free of the gluten I have in me. I'll keep the updates coming and hopefully what I am going through can help others out there experiencing something similar. Now I think it's time for an afternoon nap as this benadryl has my eyes sooooooooo heavy.